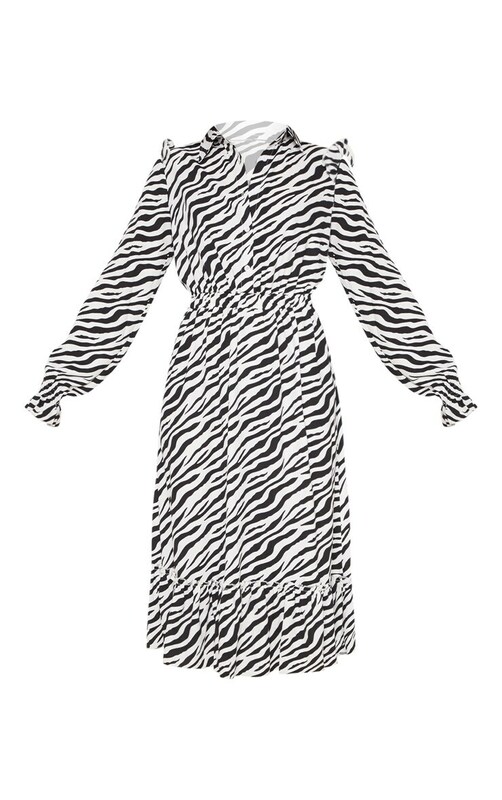 Add some animal prints to your everyday look with this midi dress. 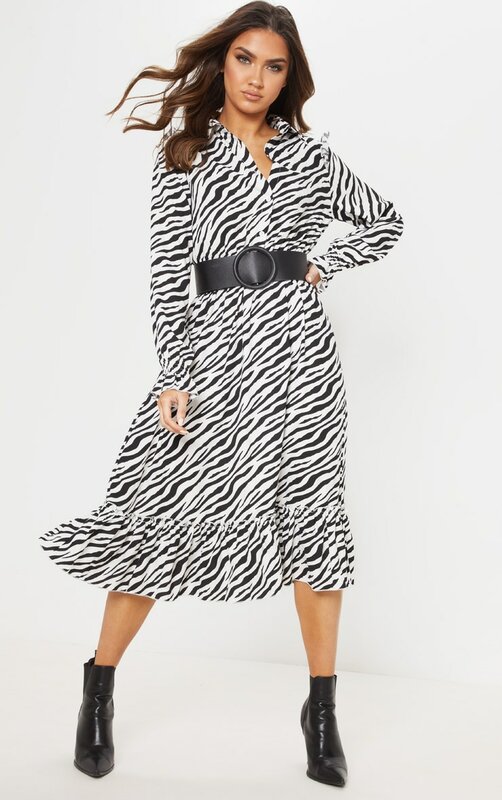 Featuring a zebra print material with a button up front and frill detailing. We love this styled with black ankle boots and a waist belt for a day-to-drinks look.